Night vision goggles are the perfect tool for after dark use because they can be lightweight, versatile, comfortable and hands free all while providing you with the power of improved vision in the dark. This makes them ideal to use in a wide range of low light operations. 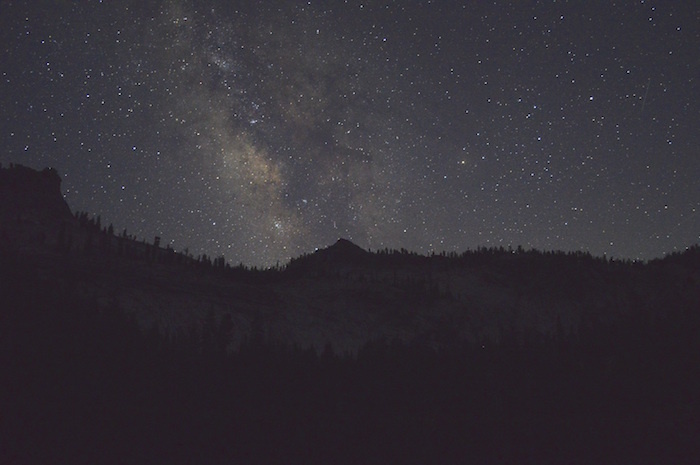 Your experiences will widen as you take on the low light with the power of a good pair of night vision goggles. Your best bet if you are looking to spend $500 or less is the Armasight Vega Night Vision Goggle Gen 1+. The Vega Night Vision Goggle Gen 1+ is a perfect choice if you are on a budget but want a pair of goggles that has enough features to be used in different environments and will be sure to perform when needed. The first feature that makes this a great buy for under $500 is that it is lightweight. It weighs 0.54 pounds making it one of the lightest on the market today. Not only does it keep your comfort in mind for those long uses but it folds up with ease and can be stored in a bag or at your side without causing any issues. The Vega Night Vision Goggle Gen 1+ only has a single eye optic, but this is not an issue because it can be adjusted on the head mount to fall over either the right or left eye making this great for a tool with minimal flourishes and unnecessary features. There is an optional infrared long range magnifier that can be purchased as well that increases your viewing distance without weighing you down. This pair of night vision goggles also includes a 3V lithium battery which ensures a long battery life. When the battery is low you will be notified by the built-in low life indicator that is included on the device. If you are in search of the perfect piece of gear to amplify your vision in low light environments without breaking your bank then the Vega Gen 1+ is the way to go. It has enough features to keep you satisfied without taking away from the minimal, lightweight and functional design. If you want to keep your spending under $1000 you will want to check out the D-2MV Gen 1+ Dual Tube Night Vision Goggle by Night Optics, a pair of night vision goggles that is full of solid features while keeping your budget in mind. The D-2MV is a lightweight device weighing in at only 4 pounds making it a good headset for long excursions and short use alike. Your head will appreciate the ergonomic design of this unit. It puts comfort high on the list of features offered. Another capability of the D-2MV that sets it apart from others in the same price range is the fact that it has a built in sensor that detects bright light and protects your eyes from being damaged by overexposure. If the lights turn on or you walk close to a light the D-2MV will automatically lessen the impact on your eyes. This is something that should be standard in all but is not. Your eyes are sensitive and the last thing that you want to happen is any sort of damage from quick and painful overexposure. The D-2MV will stop this from happening so you can rest easy knowing that you will not damage your eyesight from bright lights while wearing this device. The Night Optics D-2MV not only acts a night vision device but is a pair of binoculars as well. This makes it an ideal pick for those moments when you need to increase your optical zoom and hone in on your target. Perhaps you want to snap a quick photo of a perched owl that is far away, or you are looking for that big game score and it requires a long shot. Whatever the situation you need not worry. This pair has a magnification of up to 3.6X making it one of the more powerful options that does not require further accessories to include zoom functions. The headset is fully adjustable and can fit on just about any shape or size head. If your child wants a pair to play paintball in the dark or you want to wear it over your thermal beanie cap the D-2MV makes it possible. There is also an adjustable chinstrap for extra comfort and stability. Other features include weather resistance, an IR illuminator, and a CR123 battery. The most expensive item on the list but one that will grant you the most power for the money is the Nyx7-ID Gen 2+ Night Vision Goggles by Armasight. It can be found for under $2k but is hands down the best pair you will find for a little more money. The Nyx7-ID weighs in at only 1 pound making it a super lightweight model. The headset and chinstrap can be adjusted to fit a wide range of head shapes and sizes. This model is great for the serious user of all ages but should not be considered a toy. It is a no-nonsense pair of goggles that is known for being a professional level product. One special feature that this model includes is a water resistant design. If you ever hunt, fish or explore the outdoors you know that the weather can change in an instant. In those moments this pair of night vision goggles is perfect because you can continue to use it while making your way to safety without fearing that your goggles will be rendered useless and destroyed by the rain. Being water resistant also makes this model ideal for search and rescue situations where you are looking for someone who is lost and the weather has prevented him or her from being found. You can rest with confidence knowing that these goggles will perform when you need to them to no matter the weather. The built in IR light in the Nyx7-ID helps keep this unit working for many close range situations whether you need to check your GPS device, a map or read a sign in the dark. Depth perception and high definition vision are guaranteed. Unlike other night vision goggles you can shop from a wide range of accessories. For longer range magnification you have a large option of accessories for 3X, 5X and 8X optional lenses. These are attached with ease and can be stored when they are not in use. The Nyx7-ID is a great modular device because of this. If you enjoy customizing your device this one is perfect. Armasight has made sure with this model that you will not be left stranded in the dark. The stock battery is a lithium CR123A. You can also use an alkaline AA battery, and changing the battery is easy and can be done on the fly. A power adapter is included for quick and efficient charging so that you can stay on the go. As a Gen 2+ pair of goggles the Armasight Nyx7-ID has a stronger power than most Gen 1+ goggles and is a great pair if you have the money. For overall money versus functions the Nyx7-ID is the first choice for all of your night vision needs. 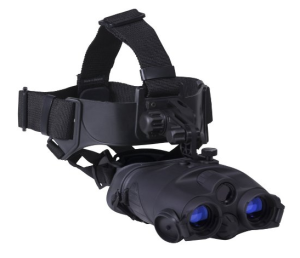 The best overall choice for your next pair of night vision goggles is the Firefield Tracker 1×24 Night Vision Goggle Binoculars, a versatile and heavy duty pair of goggles that will fill any role that you need them to. The first thing you will notice about this pair of goggles is the design. The headset is lightweight and fully adjustable. These goggles are made to be compact and can fold down and fit in just about any bag or backpack without trouble. If you wish to remove the binoculars for handheld use you can as the goggles and headset can be disconnected. This grants you more freedom in how you choose to utilize these goggles. To top it off it weighs only 1.4 pounds and will maximize your head comfort. This device also has a built in infrared illuminator that is different that many others. It operates but sending out a pulsing signal that helps to keep the batter running for longer. This makes the Firefield Tracker a prime choice for prolonged use. The battery itself boasts a 72 hour life. This is quite long considering the functions provided. It also features what it calls the “revolutionary Eclipse Lens Cover System” which offers more lens protection and ease of use. You can rotate them away from the lens and snap them into the body of the binoculars to ensure that they are ready to be places over the lens in a moments notice. This will greatly extend the life of the binoculars because you the lenses will always be protected when not in use. You will not need to worry about losing a lens cap either. Other features that the Firefield Tracker offer are high quality image resolution and a dual tube design. The dual tube design makes depth perception a main priority. This makes the Tracker an amazing addition for hunting or fishing needs because you will not be risking poor visual judgement for low light sight. The Firefield Tracker 1×24 Night Vision Google Binoculars are the top overall choice of all listed because of the functions included and the listed price. Their price is fair and will allow you to save some money while still getting a product of superior quality, high functionality and emphasis on user friendliness. Human eyes are powerful tools. Thousands of years of achievements speak to the power of the human eye as is seen from the many wonders created and achievements made over the generations. From the age of the hunter-gatherer to the modern man the human eye has been a vital part to humanity, but as strong as your eyes are there are certain times where natural eye power is not enough. After nightfall your eyesight drastically diminishes leaving you in the dark. This can be detrimental to your enjoyment if you are wanting to see the less illuminated side of nature. It can also be fatal if you are take a misguided step due to your lack of proper vision. If you have ever tried to hunt in the dark, hike a trail through the mountains in the evening hours or attempted to capture delicate photographs of nocturnal creatures such as owls, bats or lemurs in their natural dark habitat then you know that the human eye has its limits. It operates at its most effective level when there is ample light present. That is why it is important to consider adding a pair of night vision goggles to your list of outdoor gear if you plan to engage in any kind of nighttime outdoor activity that requires clear and high definition sight without the sun or other sources of light. Night vision goggles were developed for military use in the 1940s during World War Two. Soldiers uses them to their advantage and turned the tides of key engagements because of the obvious advantage that the night vision goggles provided them. Night vision received much wider use in the dense and dangerous jungles of Vietnam as snipers and other special military personnel used them to have an edge against their enemies under the cover of darkness. Over the years many types of night vision goggles have since spread into the civilian market and carry the same strengths as their military cousins at a fraction of the price. You do not need to be a military or hunting buff to know why these goggles have been loved by many since their inception. Night vision goggles continue to be popular among outdoor enthusiasts, from the casual user to the most dedicated disciple of night activity. Modern technology has made low light vision devices available for almost any price and for a large range of uses. It is not uncommon to see night vision goggles being used for nighttime photography, hunting, fishing, gaming and personal security. The affordability and reliability of most night vision goggles has given rise to a large following of loyal users who can not imagine life before night vision. Features to look for on a new pair of night vision goggles should fall in line with your needs. If you are into night photography it might be important for you to have a zoom magnification option and a pair that will not interfere with your camera. If you are hunting in low light perhaps you will want to consider a pair of goggles that has the option to flip up and down for when you do not need to use them. They should not weigh much because you never know how long you will be sitting waiting for your game to appear. Battery life is another factor to think about as you will not want to lose sight in the middle of use. If you plan to hike in the dark for long stretches consider units that offer an easy way to exchange or charge batteries. When you are looking for a new pair of goggles it is important to consider how you plan to use them and weigh that against the options available. Explore the different manufacturers and see what is offered. There are many companies to choose from. Each one offers something similar but with varying features. Popular brands include, but are not limited to, Armasight, Firefield, ATN, Night Optics and EyeClops. 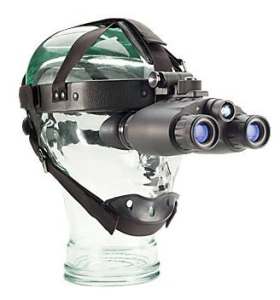 Each of these can be trusted for producing high quality and affordable night vision goggles. 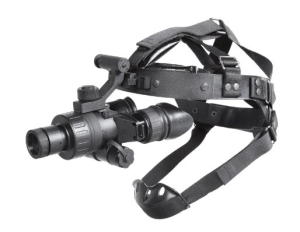 Nigh vision goggles come in three generations, shortened to Gen 1, Gen 2 and Gen 3. Gen 1 goggles are the most affordable, have minimal but quality features and tend to last about 1500 of hard use. Gen 2 costs a little more and has a longer overall life at 5000 hours. Gen 2 usually has a higher resolution image and wider field of view. Gen 3 is very expensive, lasts for about 10,000+ hours and are used by special forces around the world. You can expect to spend anywhere from $200 all the way up to over $5,000, but there are more than enough options that fall somewhere in the middle of the price range. Educate yourself with what is out there on the night vision goggle market before you make a purchase. Below you will find the best choices for under $500, under $1000, for the money and the overall best choice for all around functionality. All are either Gen 1 or Gen 2 goggles, but the brands listed do offer Gen 3 units if that is what you are seeking. You can use the recommended models below as a starting point on your path to obtaining your first pair of night vision goggles. All four are top of the line items that will fill many different roles. They all keep your budget and preferred uses in mind. You might be a hunter who would like to take on beasts that are more prominent during the night, you could be a wildlife photographer who wishes to see those rare animals in their moonlight environment or you could be a neighborhood watchman who wants to ensure maximum safety in his neighborhood. By using night vision goggles in your nighttime activities you are furthering your operating capabilities in low light conditions. This will prove you with even more freedom to do what needs to be done no matter the lighting. Night vision goggles also make exciting gadgets for your kids, and with affordable options available you can provide them with hours upon hours of fun without the sun. Give your kids supervision and that competitive edge while playing hide-and-seek in the dark with their friends. Your reasons for needing a pair of night vision goggles may vary but what remains is that you need the best options for what you can afford. Research what is out there and find something that fits into your lifestyle without ruining your budget. 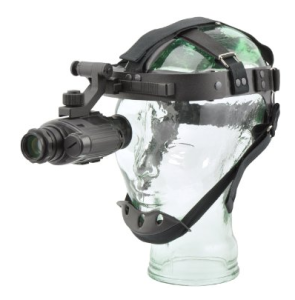 You do not have to spend an entire life’s savings in order to own a powerful, reliable and awesome set of night vision headgear. Technology is at a point in time where a person from any walk of life can own night vision goggles. There are dozens of brands and models that are always pushing the limits of what these goggles can do. Headsets are getting smaller and lighter while magnification is getting smarter and higher powered. Night vision goggles of today are not entirely different from what was used 60 years ago, but there are noticeable improvements on what can be considered a basic utility device. Whether you are a nighttime hobbyist or a professional hunter you will find plenty of use with the right device, and owning the right pair of goggles will take your adventurous lifestyle to the next level. You will smile when you are seeing the world of the night in new light for the first time. Few have seen what you will see as you step into the dark with the power of light behind you.